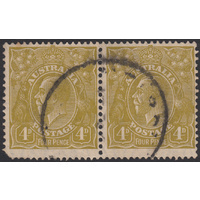 Australia KGV 1933, 4d Olive, CofA Watermark, variety 4R55 (Diagonal white line on King's neck) in Good Used condition with no faults. 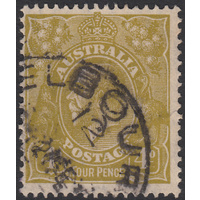 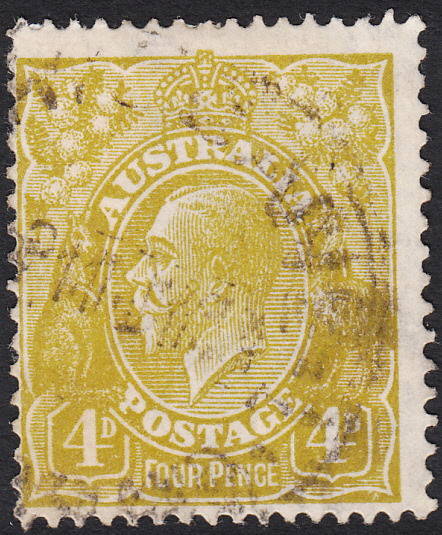 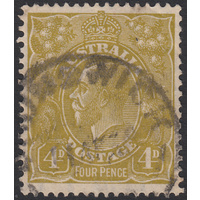 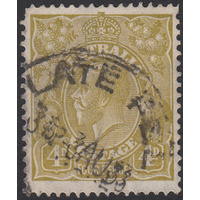 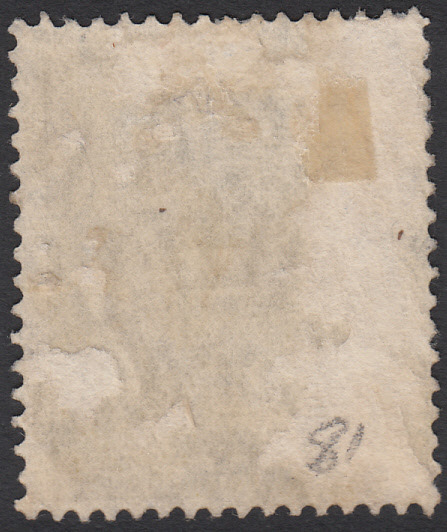 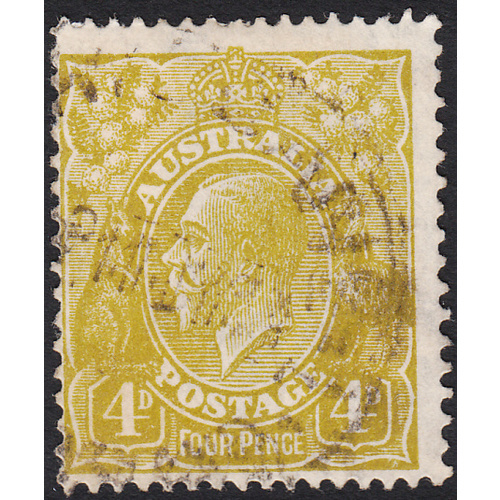 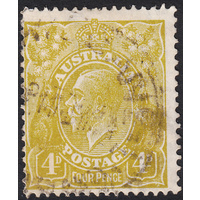 Off-centre to the left and low with a circular datestamp cancellation clear of most of the variety. 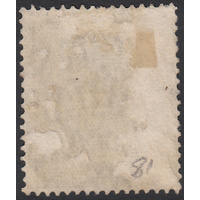 BW 117(4)n.